Bombs Away are an Australian musical group made up of two brothers, Sketch and Tommy Shades, who create dance and hip-hop songs through DJ, vocal and production work. The first single they released was a song called " Big Booty B*tches". It reached number 3 on the Beatport Electro Top 100 and was certified Gold by ARIA. Their next release was called "Super Soaker". It got to number 1 on the Australian Dance Single ARIA Charts and was one of the Top 50 Dance Singles of 2013 and was listed in the Top 50 Australian Artist Singles. Their third single was called "Party Bass". It was certified Platinum by ARIA and reached number 1 on the Independent Music Chart and number 3 on the iTunes Dance Chart and was the fourth highest selling Australian Dance Single of 2012. Bombs Away have performed national and international tours. 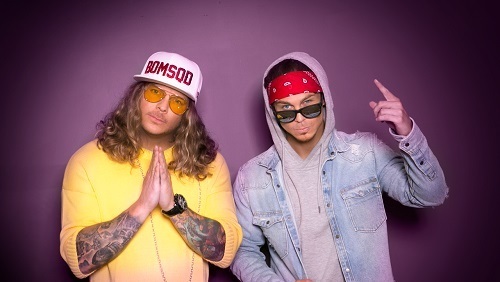 They have performed at a number of music festivals like the Stereosonic Festival in 2010, 2011 and 2012, the Future Music Festival in 2011 and 2012, the Creamfields Festival in 2012 and 2017, The Fat as Butter Festival in 2011, 2012 and 2013 and The Foreshore Festival in 2011 and 2012. Fragments is their debut album. It is 13 tracks long and will be released by Central Station Records on June 29th 2018. Bombs Away worked with a number of talented local artists like Shadow Aspect, Backchat, Sru, Myah Marie and Sunset City and Elle Vee to help bring something special to Fragments. To help me understand who Bomb' Away were I did some research before I started this article. I read some interviews about them and watched the videos for "Big Booty B*tches" and "Super Soaker." Fragments is a dance / electronic album that feels and sounds completely different from "Big Booty B*tches" and "Super Soaker." Their earlier songs were a bit rough and catered toward a younger, male audience. I got a different vibe from Fragments. 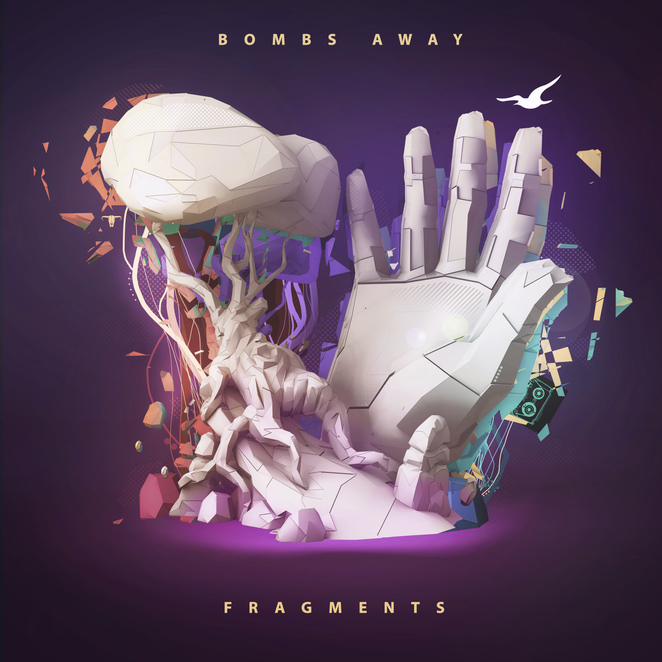 Fragments had the same dance, electronic feel of Bombs Away, but with more of a pop influence to the songs. The album starts off with "Carbon – (Intro)" which is a 58 second track that includes vocal samples and keyboard sounds and loops. The track reminded me of the music of Australian musician Harley Edward Streten, who is known in the music industry as Flume. Flume makes electronic / dance music. I really liked this track. It had some interesting sounds in it. It sounded futuristic. As I was listening to Fragments, I wondered if Bomb' Away got some inspiration from Ed Sheeran and Ellie Goulding because some of the songs sounded similar to those sort of pop songs. Track 2 is "Let You Down" and features Sunset City. I thought this one had a bit of an Ed Sheeran feel to it. I got a strong Ellie Goulding feel from this song. "Like You" starts with heavily treated vocals and features a variety of different drumming sounds. The music video is well produced and professional and contains an interesting array of costumes. My least favourite song was Track Eight "Let It Burn" which featured Backchat. The song contained drums, cello, and heavily treated male vocals and keyboard sounds. The song itself is fine, the music is good and the effects impressive, what I didn't like about it was the lyrics which I thought were a little sleazy. "Let It Burn" felt a bit out of place on the same album as "Like You" and "Let You Down." It was the only thing I didn't like about Fragments. I thought the rest of the album was catchy and pretty good. Fragments is available for purchase HERE. Why? Bombs Away are an Australian musical duo who are known for creating bouncy, hip hop dance songs through their DJ, vocal and production work. Fragments is their debut album.